through the end of next week gathering fresh data on the enigmatic star. 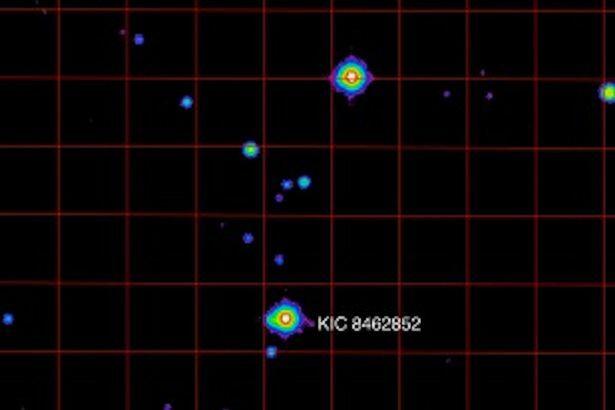 Wiki-pedia Article on KIC462852 "Tabby's star"
Something other than a transiting planet makes KIC 8462852 fluctuate wildly and unpredictably in brightness. 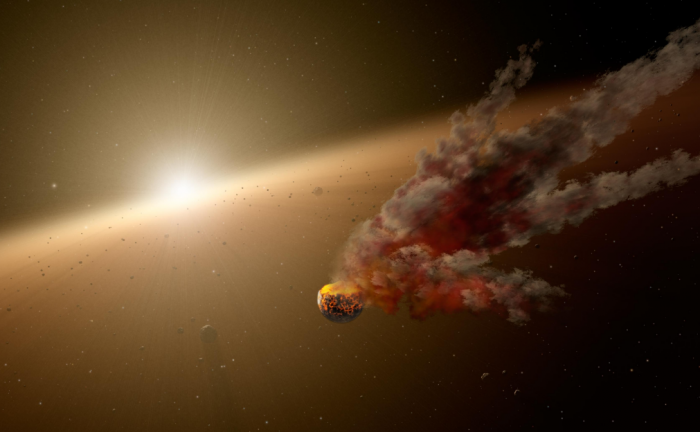 Astronomers suspect a crumbled comet, but the cause remains a mystery. around the star in a very long, eccentric orbit. 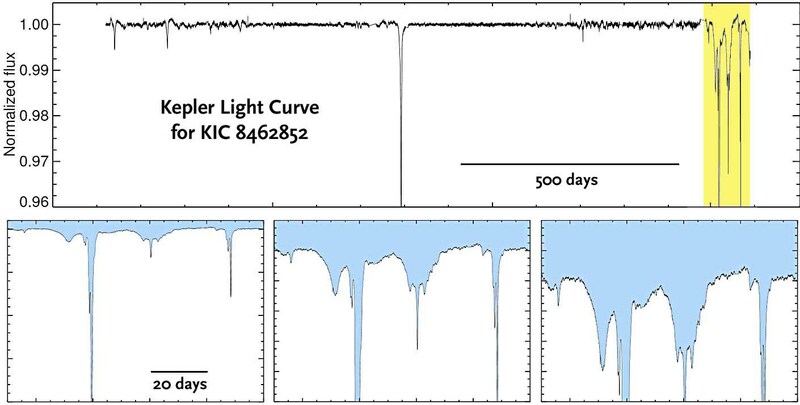 Here is a report on KIC 846252 has been fading! likely a natural phenomenon, one remote possibility is that this is some kind of alien megastructure. that aliens might want to build. now known to within an accuracy of 148 miles. 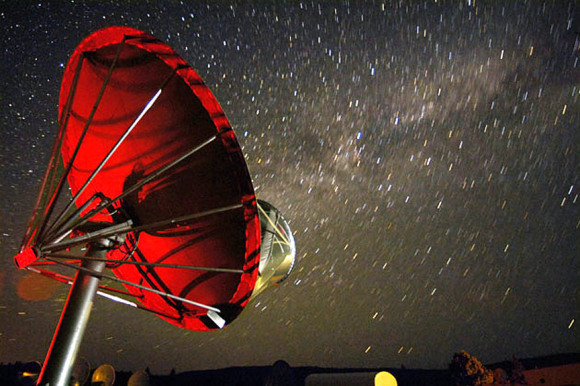 for simultaneous surveys undertaken for SETI projects (Search for Extraterrestrial Intelligence) at centimeter wavelengths. 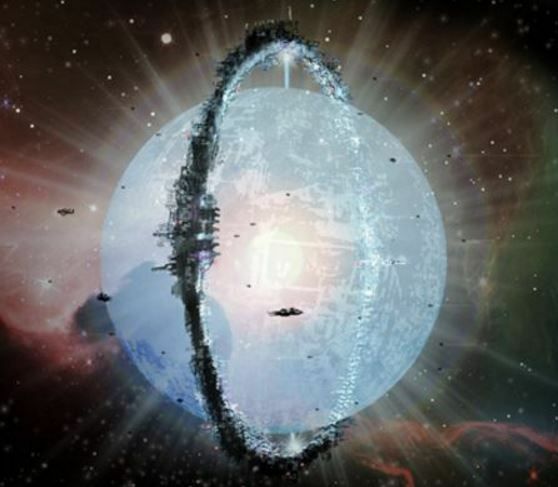 Radio waves absent from the reputed megastructure-encompassed Kepler star? 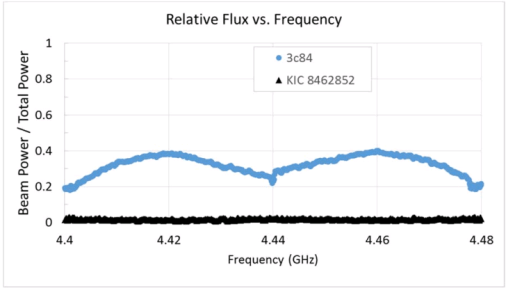 Radio observations were carried out from the Allen Telescope Array of the reputed megastructure-encompassed star KIC 8462852.
however there were sensitivity and coverage limitations (see text). 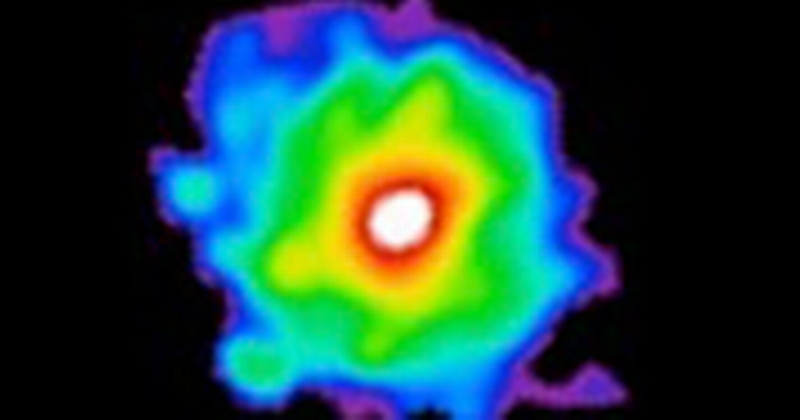 The signal emerging from the quasar 3c84 is shown via blue symbols. 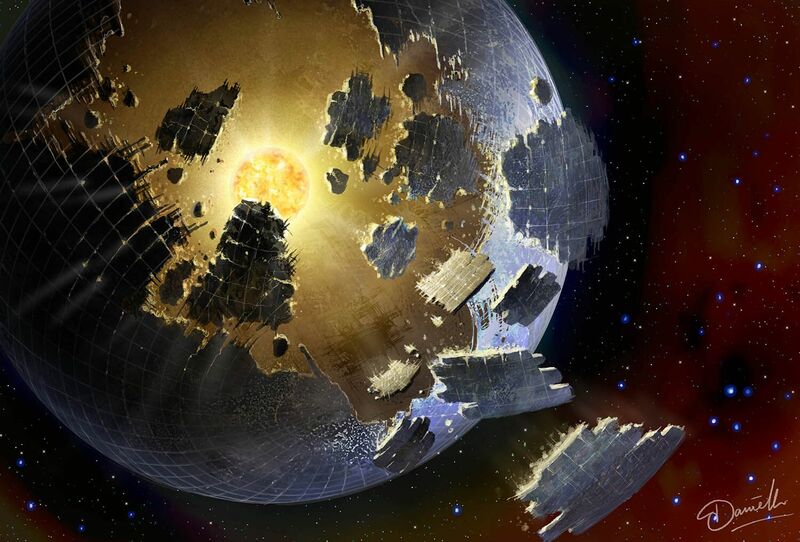 The hunt for an alien megastructure has made for sensational headlines, but what are the chances of finding something? 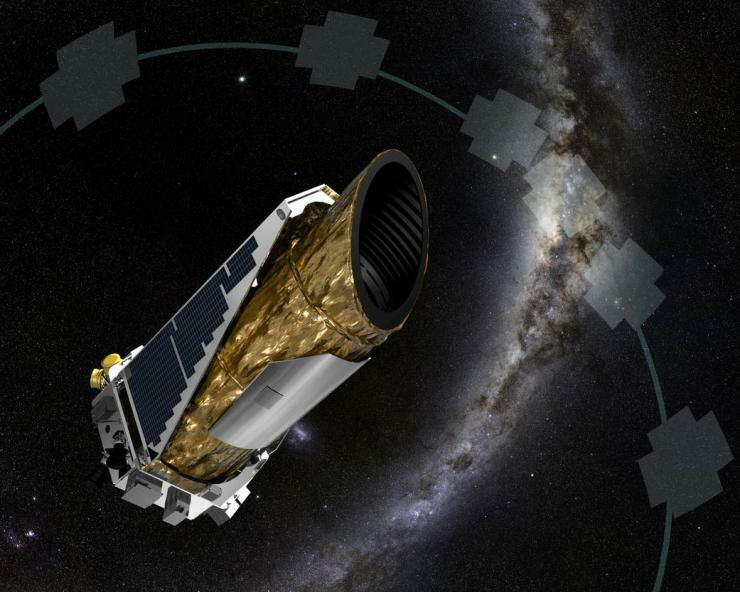 Pictured is an artist's impression of Kepler, the spacecraft that observed the distant star KIC 8462852.
for more than than two weeks, and so far it looks like extraterrestrials aren't home. of communication than laser pulses and radio waves, so they're still holding out hope that E.T. might be in our vicinity. after a search for laser pulses from the system turned up empty. 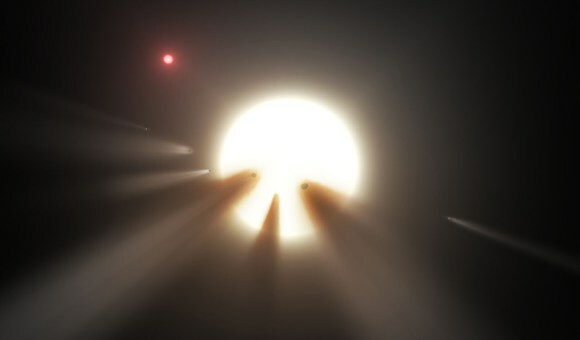 "Still Most Mysterious Star in Universe"
Even if aliens are not involved, Tabby's star remains "the most mysterious star in the universe"
as Yale astronomer Tabetha Boyajian described it in a TED talk she gave last February. and we still have no idea what it is!" says German astronomer Michael Hippke. had passed across the face of the star and temporarily blocked some of the light coming from it. 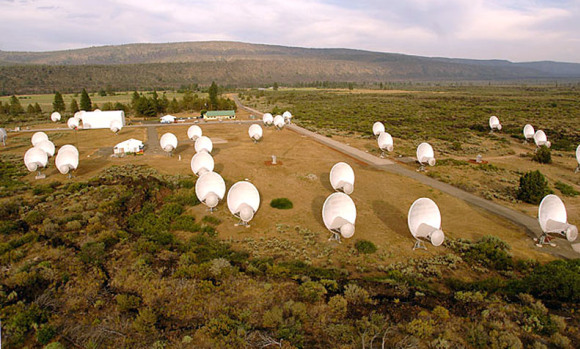 on the star to see if they could detect any radio signals indicating the presence of an alien civilization. In November, 2015 it reported finding "no such evidence" of signals with an artificial origin. 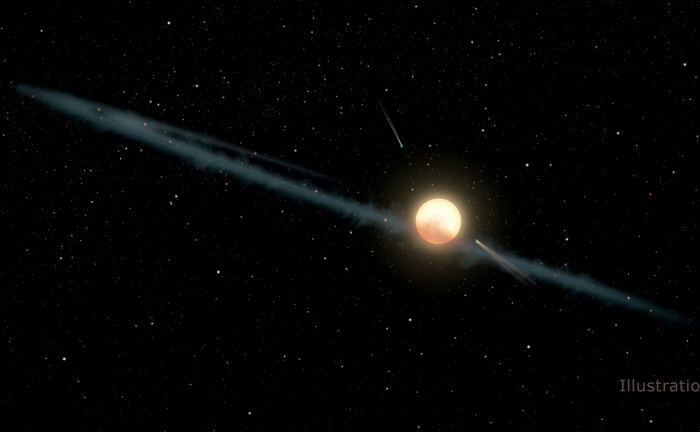 IS THE â€œALIEN MEGASTRUCTUREâ€ AROUND TABBYâ€™S STAR ACTUALLY A RINGED GAS GIANT? Artist's impression of a gigantic ring system around a distant exoplanet. 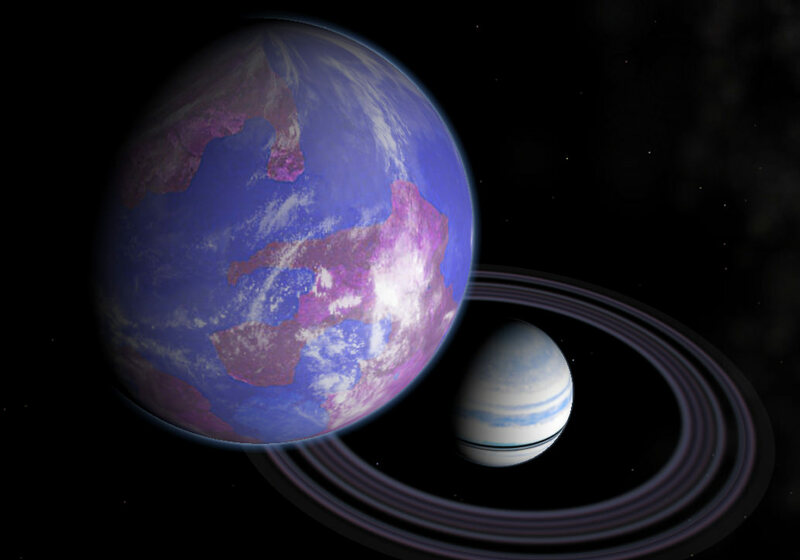 An artist impression of an exomoon orbiting a ringed exoplanet. 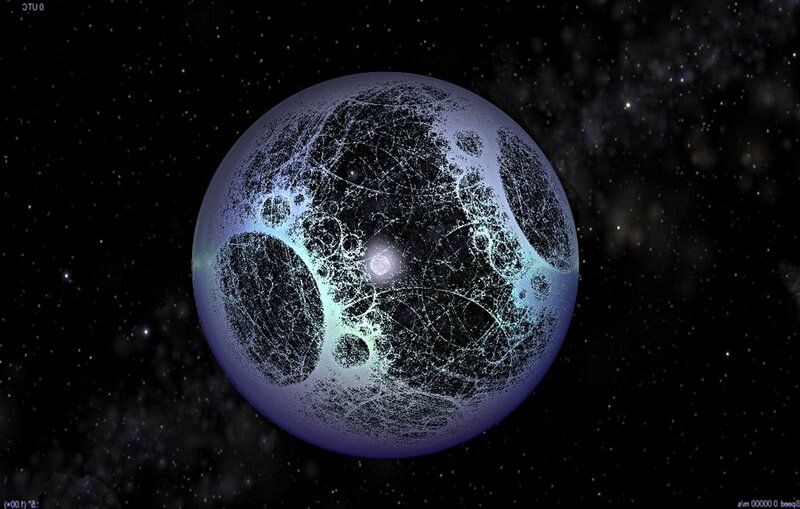 A Dyson Sphere is a megastructure that could be built around a star to harness all the solar energy it gives off. and how we might even detect them from Earth. 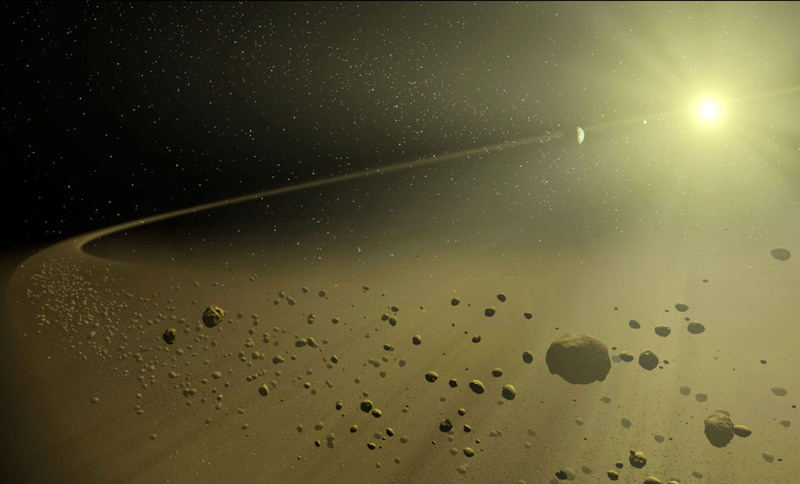 Artist's concept of KIC 8462852, which has experienced unusual changes in luminosity over the past few years. because they are hard to separate from instrumental effects and they make the search for planets harder. Once a month though, they download the full frame, so the brightness of every object in the field can be measured. 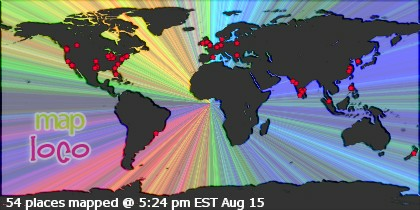 famous for an anomaly, what that anomaly was, and the various theories for what might be causing it. is devoting hours of time on the Green Bank radio telescope to see if they can detect any signals from intelligent extraterrestrials. internet investor Yuri Milner, won't be the first to search for intelligent life around this star. in late October. A 6-inch or larger telescope will easily show it. 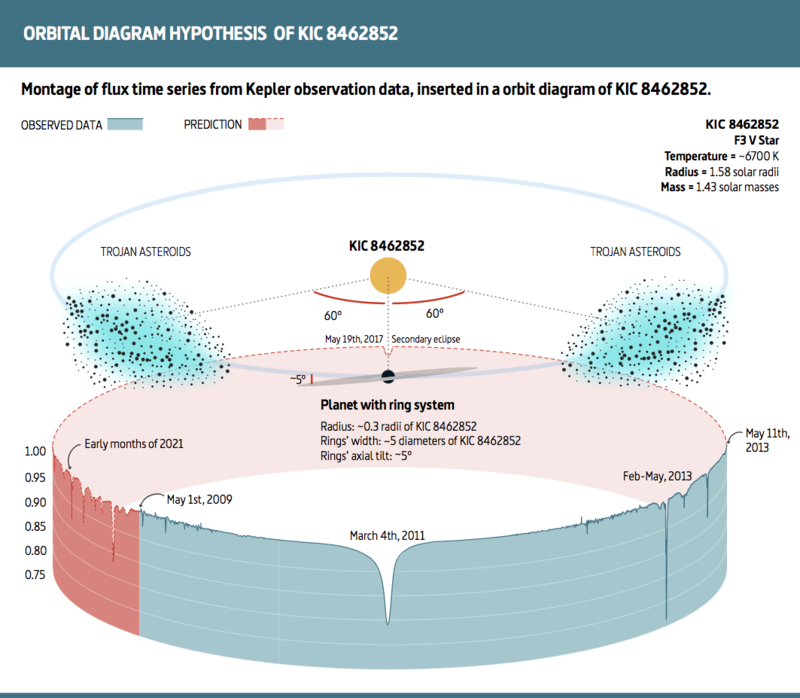 Preliminary analysis of incoming data of KIC 8462852, showing the apparent dip. is entering another of its irregular dips. Here at UC Berkeley SETI we're lucky to have Prof.
Jason Wright visiting this week. Join him and Berkeley SETI Director Dr. Andrew Siemion at 11 Pacific for live updates. 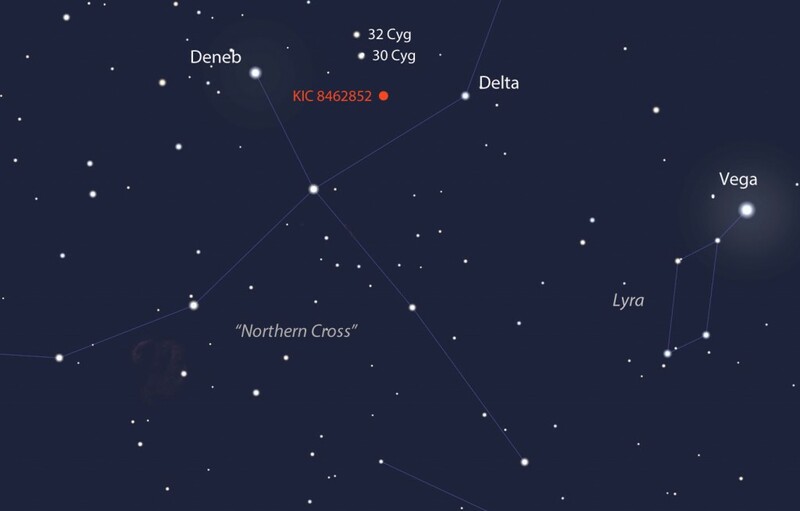 Diagram of the KIC 8462852 system, showing the possible influence of Trojans on its brightness. Credit: F. Ballesteros et al. of astronomical objects that have never been directly observed, from the comet clouds in Boyajian et al. also known as Boyajian's Star or Tabby's Star. Prof Jason Wright from Penn State explains why Tabby's Star has become known as the most mysterious star in the galaxy and how you can help him and Tabby Boyajian solve this mystery. To contribute to their Kickstarter campaign, go to https://www.kickstarter.com/projects/... right now! â–º Wright et al. (2016), "The Äœ Search for Extraterrestrial Civilizations with Large Energy Supplies. IV. 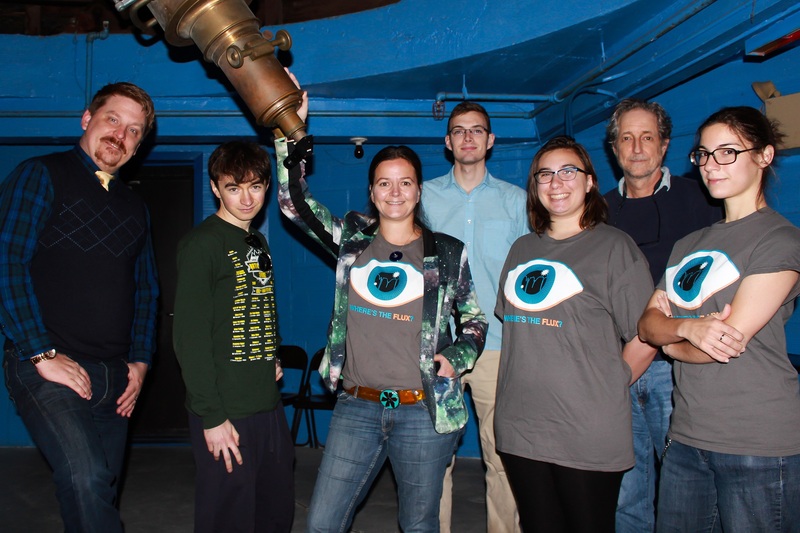 : The Signatures and Information Content of Transiting Megastructures"
LSU Astronomer Tabetha Boyajian (center) and her students and research staff. PhD candidate Tyler Ellis, undergrad Katie Nugent, Professor Geoff Clayton and graduate student Emily Safron. 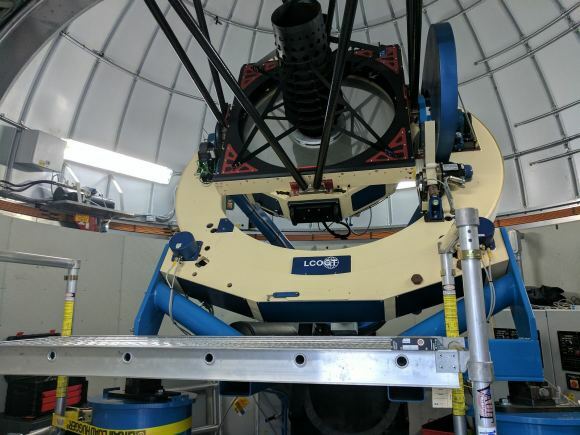 One of the many robotic telescopes part of the Las Cumbres Observatory used to observe Tabbyâ€™s Star. for and test hypotheses when faced with the unknown. in the galaxy and how you can help him and Tabby Boyajian solve this mystery. 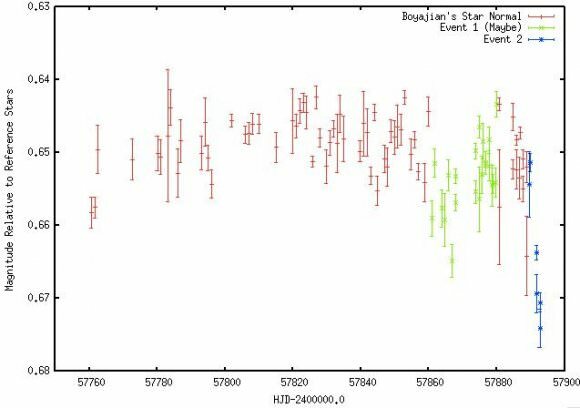 The light curve recorded for Tabbyâ€™s Star. Credit: Whereâ€™s the Flux? 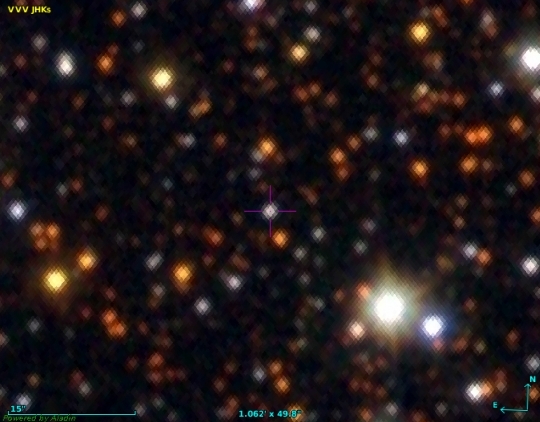 Image: VVV-WIT-07 in the centre of a star field. even more extreme, one whose range in lightcurve variation is extraordinary. to dim first by a factor of 2, then by almost 80 percent. A week later, it was back to normal. Image: Lightcurve of VVV-WIT-07 showing how it varied in brightness between 2010 and 2018. 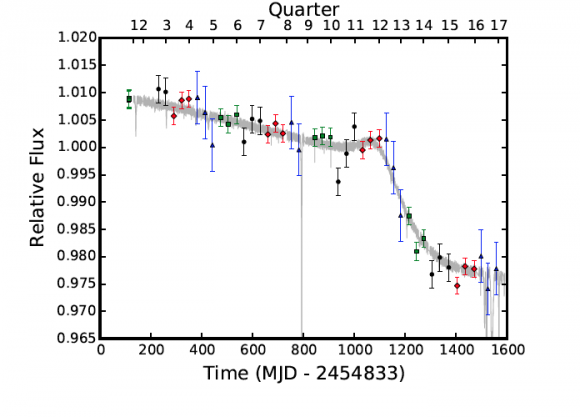 The insert shows an expanded view of the particularly dramatic dimming event that occurred in July 2012.
lines at epochs of no mass ejection episodes, which is not the seen in the spectra of VVV-WIT-07.